According to The English Household Survey published in 2015, 11.4 million homes in the UK have a hot water storage cylinder but how many of us even give it a second thought until it is time to update or upgrade? "Despite the UK’s long standing love of storing towels and drying clothes in an airing cupboard, many of us have been enticed away the lure of the combi boiler and the cylinder free system. As with so much these days one size does not fit all and whilst this can work for some properties, there are many homes which can benefit from staying with a cylinder and boiler set up. It all comes down to knowing your options and taking your lifestyle into consideration before making your final choice." When should I opt for a cylinder? Do I have to replace like for like? What type of cylinder should I look out for? What if I’m thinking of opting for renewable technology? Is it an easy job to update a cylinder? Is a cylinder change subject to building regulations? It stands to reason that the needs of a couple living in a one-bathroom home will of course be very different from a family of four in a three-bedroom, two-bathroom property. And it is here where incorporating hot water storage into your plans comes in to its own. 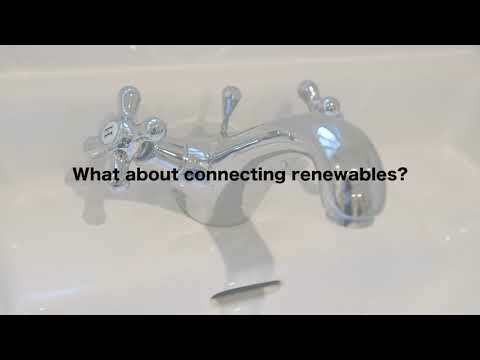 Being able to supply multiple outlets is possibly the biggest benefit of choosing a cylinder-based hot water system, and makes them perfectly suited for properties with more than one bathroom. Giving you the ability to supply larger volumes to many outlets means, given an adequate supply pressure, you can run multiple showers simultaneously whilst opening a tap elsewhere in the house or flushing a toilet, all without effect on the running of the system. So, if you have children who may want to run a bath or use a different shower at the same time as you, a cylinder can happily supply hot water to both without significant loss of pressure or having adverse effects on the temperature. Your hot water cylinder can also be connected to an immersion heater which can step in should there be a problem with your boiler. For many it is a real comfort to know they will have a hot water supply at all times. In homes where low pressure means a pump is needed to boost the flow of water to a shower, heating and storing your hot water in a cylinder will ensure water can be pushed through at the right temperature as needed. The simple answer is no. Yet one of the most common misconceptions is that a cylinder needs to sit in exactly the same place as the previous one. With today’s cylinders boasting much improved insulation from the old style ‘tank and jacket’ combinations, it opens up the opportunities to move the cylinder and open up space dramatically. If suitably protected from extreme cold temperature, the garage or loft are just some of the options available to rehome a cylinder and possibility free up the old airing cupboard space for use as a shower, walk-in wardrobe or even to reinstate extra storage for bulky items such as towels, bedding or coats. Similarly, if you currently have a vented heating system with water tanks in the loft providing the water for a hot water tank, you have the option to change to one of the newer unvented systems which take their water straight from the mains. Not only will this do away with the need for water tanks cluttering your loft space and the worry associated with open water storage, but may also boost the pressure of your system. When updates are made to ageing heating systems, the hot water storage cylinder is often overlooked. However, when striving for efficiency, it is vital to take into consideration the whole system, including the cylinder. Rather than the old jacket-clad tank which may spring to mind, today’s cylinders are highly insulated, efficient and are available in a variety of sizes from 50 litres to 500 litres to suit your space and property. It is best to ask your installer who can advise on the right size cylinder for your needs but you can expect a 170 litre indirect cylinder to suit a family of four quite adequately. You have the choice of open vented, where the cold water is drawn from a storage tank in the loft, or unvented where the system is completely sealed and water is drawn at mains pressure. With unvented systems the resulting water pressure tends to be higher with better performance from all multiple outlets, so you may find making the change boosts your water pressure at the same time too. Again your installer can help advise on what to expect for your home. What if I'm thinking of opting for renewable technology? As demand on our energy supply continues to grow, the need to incorporate renewable technology into our homes remains on the cards. Opting for a solar thermal solar panel set up can supply up to 60% of your hot water across the year, even in our not so sunny climate. Here the panels will do the hard work to harness energy from the sun and turn this into usable energy, but you still need to store the heated water ready for use. In this case you will need to opt for a twin coil cylinder. This will allow the water to be heated using solar gain where possible, or topped up with boiler or heat pump heated water when required. It is best to go for this option if you think you may decide on solar thermal in the future even if it is not an option straight away, as you’ll only need to make the change once in the long run. If remaining with the same type of system as already exists – either vented or unvented – an update need not require much work. Some changes to the pipework layout may be necessary depending on the connection positions on the new cylinder. Upgrading the system controls, for example the programmer, would also give system efficiency improvements and the new cylinder itself will almost certainly be more efficient than the old due to improved insulation levels. Changing from a vented to an unvented system will involve more work, but will give the benefit of removing the cold water feed cistern from the loft space and usually improving the hot water pressure available. This allows a greater variety of terminal fittings to be chosen and the ability to run multiple outlets at once. After installing a new cylinder in a system it is always recommended that the connecting pipework is checked for leaks when the water supply is switched on. This is particularly important in older properties and where existing pipework has been disturbed during installation. The level of insulation required from a new cylinder needs to meet current Building Regulations requirements. All cylinders should be marked with their heat loss value on the data label attached and all manufacturers will be able to advise this information. Also as of September 26th 2015, the Energy-related Products Directive (ErP) came into force and manufacturers have to supply a clear energy rating label to show the efficiency of your new cylinder. If you have had the complete heating system replaced, then your installer may complete a “package label” which will relate to the efficiency of the system as a whole rather individual parts. Your installer should do this for you but be sure to ask if this is not done.